Forklifts are dangerous machines and unfortunately accidents involving workers on foot struck by such machines are all too common. 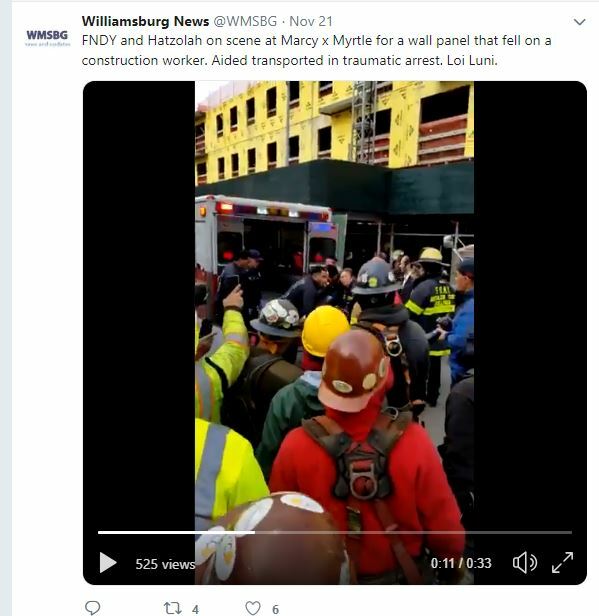 Very often accidents occur because safety protocols established by the New York State Department of Labor were not followed. In the case of the death of Jorge Castaneda, the forklift may have tipped because it was not in compliance with Industrial Code §23-9.8(b) stating that forklifts may not be overloaded. A construction worker was pinned between a forklift and a van and died from his injuries. The forklift accident occurred in front of a FDNY warehouse in Queens on Saturday afternoon. The 28 year old man drove the forklift in front of the warehouse in order to upload merchandise from a van. He put the forklift in neutral and stepped out. As he was walking toward the van, the forklift started to roll behind him, crushing him against the van. He was rushed to the emergency room but he died at the hospital. According to the NY Daily News, the equipment belonged to the FDNY. Forklift accidents are unfortunately too common. 11% of the forklifts operating in the US are involved in accidents every year. Among these accidents 35,000 workers will die or suffer severe injuries and 65,000 will suffer minor injuries. Here are a few tips to prevent such accidents from happening.